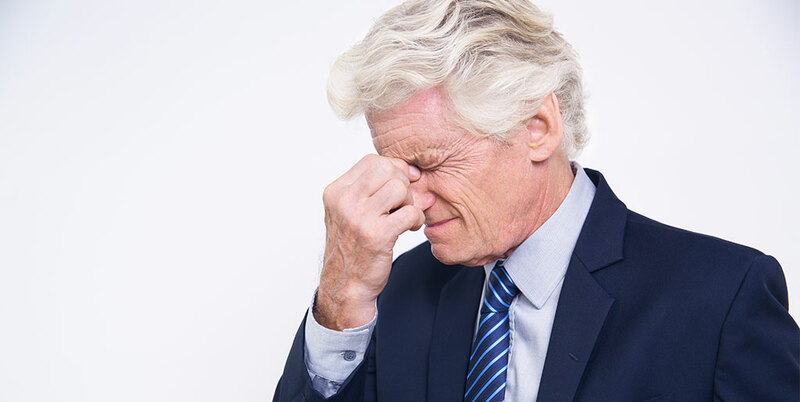 Have you been shrugging off your eye doctor’s appointment? Well its not just you, many of us do that thinking that our eyesight is fine and there is nothing to get it checked for. Do you know that you could be gambling with your eye health for the price of permanently losing your eyesight? 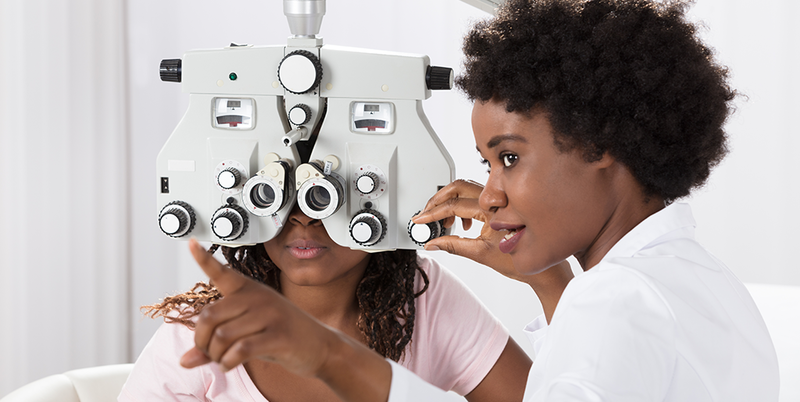 On this World optometery day, IrisVision is raising awareness on the importance of family vision care and the importance of regular visits with your optometrist or eye doctor, but first let’s take a look at what the optometry day is about. The world optometry day is celebrated on the 23rd of March as a symbol of celebrating optometry as a profession. 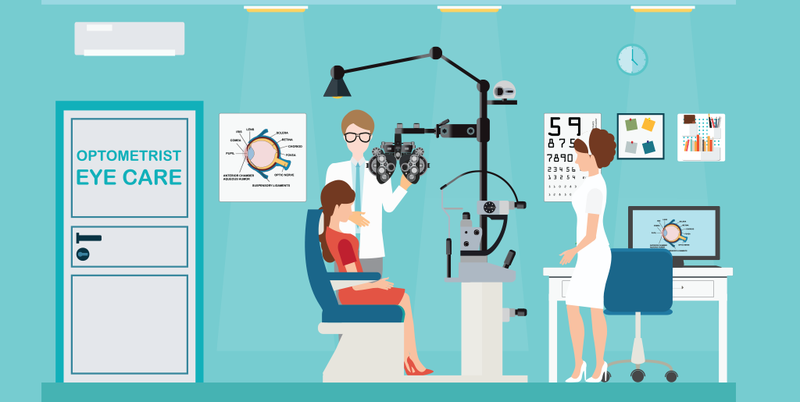 Different eye health organizations and pioneers arrange various activities, events and gatherings to raise awareness about the part optometrists play in helping people with their eye problems and eye care. It goes back to 1986, when Dr. G. Burt Holmes, former president of the American Optometric Association, took ownership of IOOL (International Optometery and Optical League) and transformed it into a dynamic organization committed to improving vision care standards all around the world. Following that year, Dr. Holmes proposed to celebrate World Optometry Day as a way of raising the bar in optometric education at the global level by establishing the first Wednesday of March as an international day for optometry. We all know how important our eyes are but we don’t actually realize it. 80% of all the information and interaction is influenced by what we see. After your brain, your eyes are the most complex part of your body, yet we neglect visiting the eye doctor. You could invite a host of visual impairment diseases like cataracts, glaucoma, macular degeneration etc. You may become infected with highly discomforting eye conditions like Conjunctivitis, Ocular Herpes and other similar conditions. 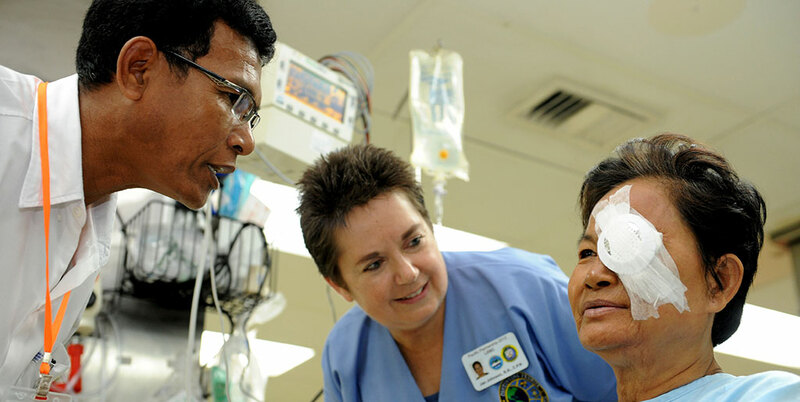 You may experience temporary vision loss which might turn into permanent vision loss. Common eye problems mentioned below can very well be avoided if you stay watchful of these signs and symptoms and visit your eye doctor on time. That’s when you lose the sharpness in your vision and the ability to see small details. Also called scotomas, these are dark spots (often gray or black) seen in the visual field of a person. Mostly experienced when looking at bright light. Experienced mostly while reading or looking at screens. If you experience any of these eye problems, you must visit your local eye doctor or an optometrist. Visiting your eye doctor at the right time could save you from a mountain of life crippling problems before they become a constant in your life. For example, if you ever visited an eye doctor and they tested your eyes with a light pen and told you there was nothing wrong with your eyes. You might have come back thinking nothing of that test but that light pen is normally used to measure the eye pressure, also known as intraocular pressure, inside your eye. If that pressure is not in the normal range, you could be on the verge of having glaucoma, a deadly sight threatening disease that causes permanent vision loss. Remember, prevention is always better than the cure, and especially when most eye problems don’t have a cure! 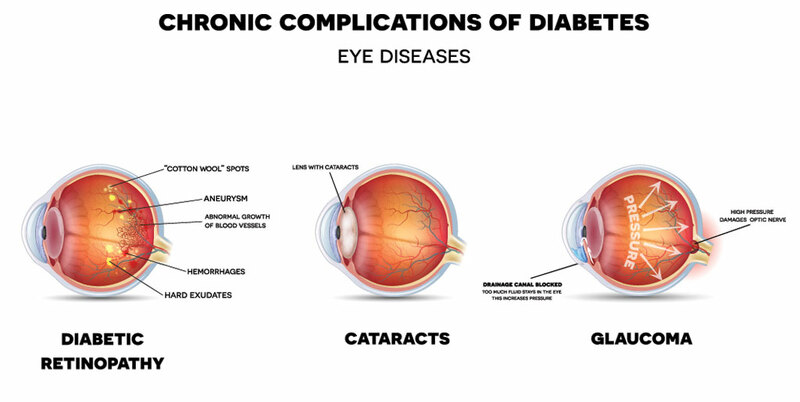 You could catch health problems like diabetes and high blood pressure by visiting your eye doctor! So, would you want to take the chance of not being able to see the faces of your loved ones? I don’t think so. Make these simple vision care habits a part of your life and you will have better chances of fighting any eye disease coming your way. Eye exams are not only for when you have some vision problem. Make a habit of getting regular and scheduled eye exams. Everyone in the family should have a regular dilated eye exam once or twice a year. Annual dilated exams are highly recommended by the AOA (American Optometric Association) for people aged over 60 and above. 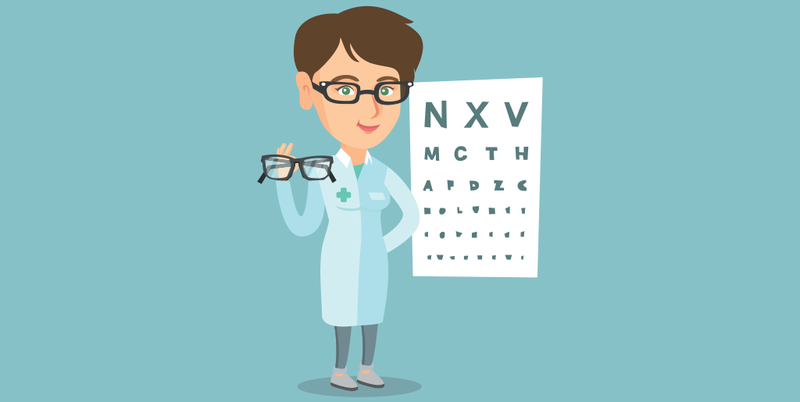 With these regular check ups, follow these easy vision care steps to make the most of your eyesight. Try to consume at least 5 servings of fruits and vegetables daily. 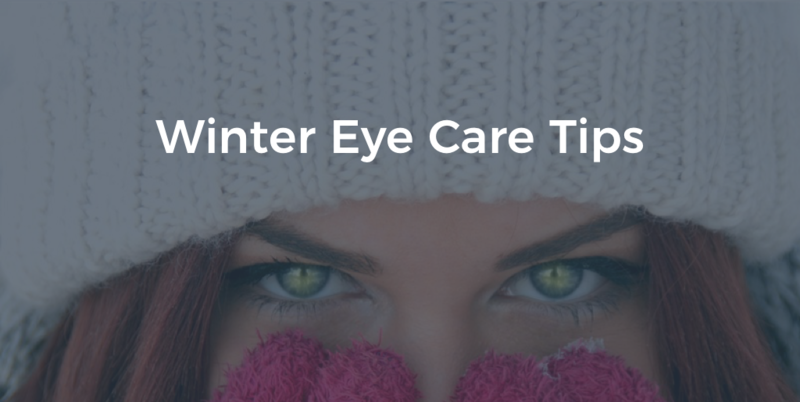 This will also be helpful if you have high blood pressure, high cholesterol, or diabetes, as these conditions can have a direct effect on your eyesight and eye health. Do not smoke or even sit in places where people smoke regularly. Take regular breaks while working with computers or anything involving screens. You might think of this as the obvious choice but many people who ignore this little act, are at a greater risk of exposure to UVA and UVB rays from the sun, dust, grime and other sorts of air pollution. If you wear contacts, religiously follow the prescribed schedule for cleaning and wearing contact lenses and always take them off before sleeping. Observing these tips will take you a long way. Always inform your optometerist with your family’s eye history and don’t feel hesitant in sharing this information with your healthcare providers as well. To appreciate what optometrists do and how important your vision really is, try spending the day with your eyes closed. Get a friend or a family member involved, so you don’t hurt yourself. Put a blindfold on and try shopping in the mall. You will need to ask for a lot of help from people, and they might not respond positively. Try wearing something and relying on other people’s opinions on how it looks. That will be enough to put you in the shoes of a person who is blind or visually impaired, all the while reinstating the importance of vision care in your life. You could brainstorm with your peers on other safe activities to try and then compare experiences as well. The CDC (Center of Disease Control and Prevention) estimates that 3.4 million Americans aged 40 or older are either legally blind or visually impaired. 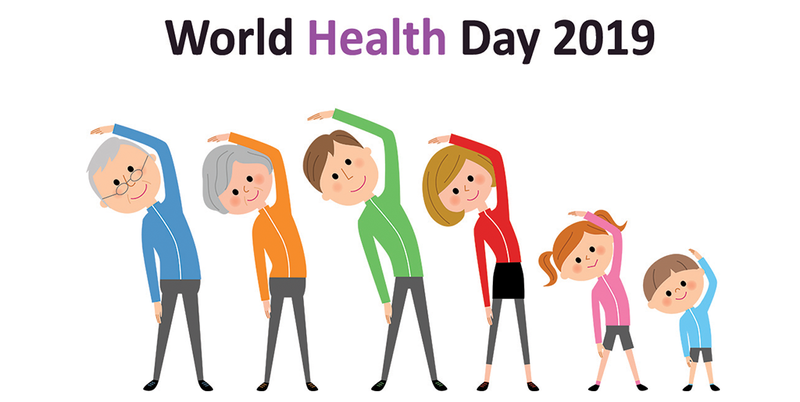 By encouraging people to take better care of their vision and raising awareness about the things that could compromise it in any way, may help not only decrease this number in the coming years but also raise the quality of life of millions of people around the world. Make sure you become part of the solution and not the problem.